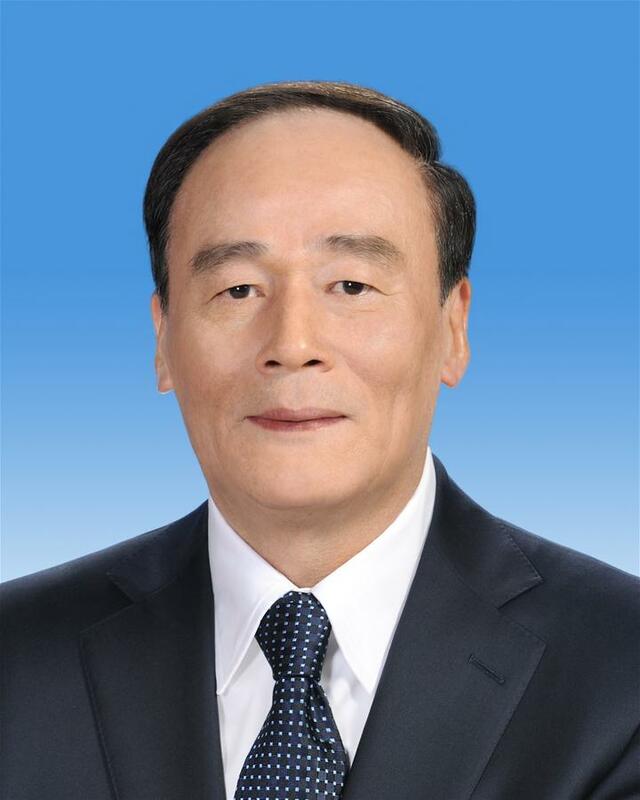 Wang Qishan, male, Han ethnicity, was born in July 1948 and is from Tianzhen, Shanxi Province. He began his first job in January 1969 and joined the Communist Party of China (CPC) in February 1983. Wang graduated from the University Regular Class at the Department of History at Northwest University, China, with a major in history. He is a senior economist. He is currently Vice President of the People's Republic of China (PRC). 1986-1988 Research fellow at the bureau level, Rural Policy Research Office, CPC Central Committee Secretariat. Member, Standing Committee member and Secretary, 18th CPC Central Commission for Discipline Inspection. Elected Vice President of PRC at the first session of the 13th National People's Congress.